And then I almost died. The whole thing plays out like it was not me and I am just watching from the edge of the pool. but I climbed the latter and I tried to jump off but I lost my footing and it slipped out from heath me, and so I went head first toward the cement around the edge of the pool. and the moment was so quick and so slow that all I saw was cement and all I thought was cement. there was no montage no reel of my life no strong thoughts or feeling. only that there was cement and there were my hands. and as quick as I had the thought I was in the water. no, I suppose telling this now, I did think of something. 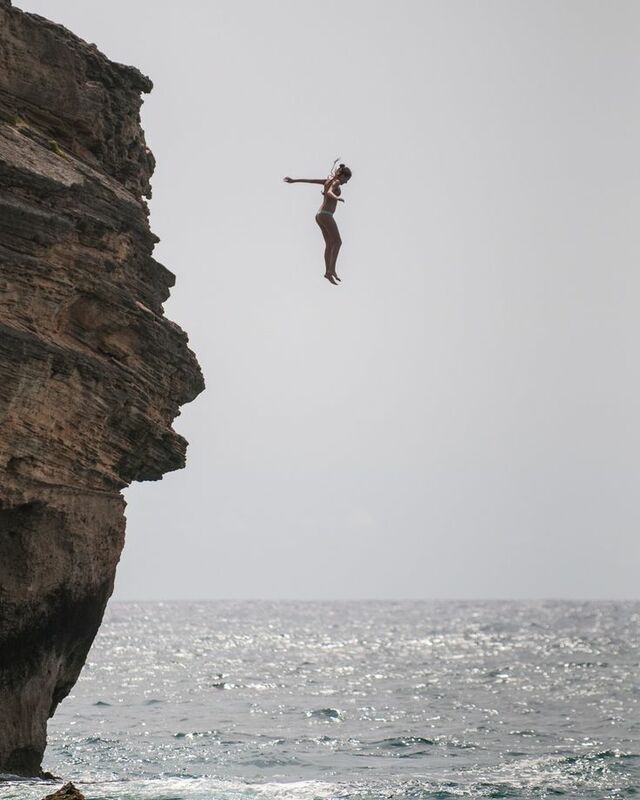 I thought of Andrea in France when she jumped off the cliff too close to the other cliff and I thought as I watched her in the air she would hit, but her hand grazed the edge and she popped out of the water. I thought of that while this was happening. or perhaps once I hit the water. either way I felt relived that I was alive but shaky because I almost died and also mildly disappointed that I hadn’t truly experienced anything in a moment of peril. if my life did flash before my eyes and if I thought more than “cement” then what would I have seen? you? I also thought writing about this may help me stop thinking about it. it hasn’t. I am not entirely sure what you are saying, but I think, thank you?